Today is our blog's third birthday. Happy Birthday Blog! We have worked very hard on our blog over these few years and are very happy with the direction it is going in. In the upcoming weeks you will see several changes on our blog, that we hope you will love. While we are celebrating our blog's birthday we wanted to reward one of our loyal readers with an amazing giveaway. After putting some thought into it we finally decided on what to have for our giveaway. That is why we are having a giveaway for an iPad! The winner of this giveaway will win a brand new white, 16GB iPad 2 and a Lilly Pulitzer iPad case with stand! This giveaway is open internationally. To enter this giveaway complete the following steps! Follow our blog on GFC and Bloglovin'. Leave a comment with your usernames and email. 1. Follow us on Facebook. Leave a comment with your Facebook username. 2. Follow us on Pinterest. Leave a comment with your username. 3. Follow us on Twitter. Leave a comment with your username. 4. Follow us on Instagram. Leave a comment with your username. 5. Facebook, blog, or tweet about the giveaway with a link to this page. Leave a comment with the link to your facebook comment, blog post, or tweet. So that is a total of 6 entries that you can have for this giveaway. Make sure you leave a comment for each step you complete, as a number will randomly be chosen and then that comment number will be the winner. The winner will be chosen at random on April 10, 2013 at 6pm Eastern Time. The winner will be contacted by email and will have 48 hours to respond. This iPad is purchased by us for this giveaway. Updated: The winner of this giveaway is Sophie Chandler! following via GFC & bloglovin'! love this giveaway so amaze! xO! I follow you on FB as judit Gulyas, on Twitter as Judit0625, on Pinterest as Judit Gulyas, on Instagram as judy0625, on bloglovin' as Judit Gulyas. First of all congratulations to you girls on your blog birthday- so exciting! This iPad giveaway is amazing and so generous- thank you! Many many years more with you! Have a great Day and a good Time! This is amazing! Your was on of the first blog I followed! Congrats on meeting this milestone! I know it is a lot of work. Bloggers certainly are not a lazy bunch. Also love your memo board on Pinterest. I tweeted it as it is a great place to go for home office inspiration. I am following you on all social media requested. With GFC I am a follower as opposed to a member? I don't get it. Google + is cumbersome too. I think that is why Bloglovin is dominating. Great interface and seem less navigation. Unlike GFC, Goolge + and FB which takes a lot of "hmmmnn" and searching and going in circles. Happy 3 years! Cant wait to see the new changes. I already am a follower on pinterest! Also already a follower on Twitter! 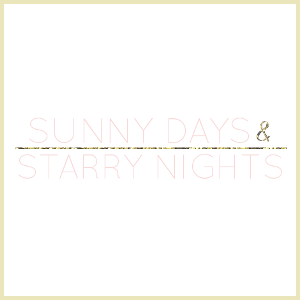 CONGRATS to YOU and HAPPY B-Day Sunny Days and Starry Nights Blog!!! ❤ I followed you on GFC (Sonya Miller), BlogLovin (Sonya Miller), Facebook (Sonya Miller), Twitter (@Lovin_LivinLyfe), Pinterest (smiley2881), and Instagram (smiley3181). Finally, I follow on IG, username delightedlaura! Thanks for offering such a wonderful giveaway, ladies! Following on FB as Lucka Srbová. Following on Twitter as LucyS9. Following on Pinterest as LucyS9 (Lucie Srbová). CartoonSteve - Followed on all ... except instagram, since I don't know how to join. FInally stared following you two. This is an amazing giveaway! following on gfc & bloglovin. Wow, how awesome! Thanks so much for hosting this - I am now following you on BlogLovin! Following you on bloglovin (#153).. waiting for you to follow back! Thanks so much! Following with GFC: Mel and Bloglovin': melan26. Such an awesome giveaway! I'm following on bloglovin' and GFC as Janine Markham and on pinterest as j9markham. Super cute giveaway! I'm following you on Bloglovin' (Savvy City Chic). LOVE this giveaway! I've been lusting after an iPad for a while, crossing my fingers I win! i follow via GFC and Bloglovin'. Congrats on three years of blogging! Hope there's many more to come. I follow on GFC as Jesss and on Bloglovin' as Just Jesss. Following on Pinterest as Jess Smith. 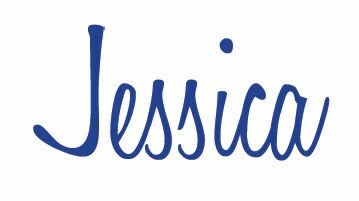 Follow on Twitter as @JustJesssBlog. Follow on Instagram as JesssRawr. Following on Bloglovin' and GFC (Lisanne624). Following on GFC: Christina Y. Was already following via GFC as sophie6ray. Now following on bloglovin with the same name. Following on facebook with Sophie Chandler. Now following on Twitter: melan26. this is such a nice giveaway! I have been wishing for an ipad to keep recipes, etc. for baking!